Have you, after struggling for years to get that automotive accessory business in Korea, switched sales agents in an attempt to nail it and suddenly out of nowhere—and to your surprise—gotten the business? Did you get the business because the new agent did a better job or did you get the business because the new agent bribed the automotive company without you knowing? Read on to learn about the Foreign Corrupt Practices Act and discover how to avoid or handle bribery disputes. First, let's tackle the big question: Did you get the business because the new agent bribed the automotive company without you knowing? Obviously, one can dispute whether you knew or didn't know (intent and knowledge), but only good international legal representation can guide you here. 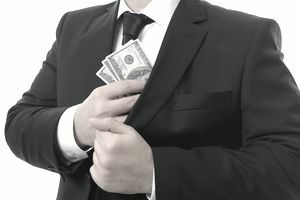 If proof—a conversation, text message or email—indicating your awareness of a bribe that your agent engaged in doesn't exist, you'll need to provide evidence of your innocence through the court system which could be conducted in your own country or overseas dependent on the laws of the countries and the nature of the dispute. It should go without saying, but payoffs, bribes or gifts should never, ever be a means to accomplishing your business goals. According to the FCPA website, "In 1998 the United States Congress and 33 other countries acted against the bribery of foreign officials, essentially government officials in an attempt to reduce corruption and money laundering through the global financial system. Corrupt political officials and those in high army office were targeted with a view to preventing government officials from exploiting their positions to gain an unfair commercial advantage. The FCPA has and will continue to have a profound impact on the way US firms undertake business in at home and abroad." "Any breach of the FCPA is taken as a serious business offense. The penalties for breaking the Act extend to being barred from tendering for U.S. government contracts, large fines and in some cases criminal convictions for prosecuted company executives. Some of these convictions have resulted in jail time for the guilty." Let's face it, when you do business outside your own borders, a lot of your activities become out of your control due to the vastness of the geographic reach. Add to that an ever-widening supply chain and an indirect route to international expansion (e.g., hiring agents, wholesalers, and distributors who represent you in good faith) and it further reduces effective control measures. The solution? Designate someone at the top to be responsible for FCPA compliance and be accountable for the FCPA program. This should be an individual who stays at the pulse of all international activities and is not necessarily top legal counsel (small firms typically don't have their own in-house legal representation so it shouldn't be an issue) or the president. The designated person can work in tandem with the top legal inside or outside counsel and president, but he/she should also have the ability to act on his/her own, be capable of making sound moral judgments and demonstrate prudent ethical decisiveness. One surefire way to stay clear of bribery trouble and exemplify that you mean clean or transparent international business is to include FCPA terms in every single one of your contracts. This can be as simple as: "ABC Company will not tolerate corruption with either our foreign partners or our own sales staff." You can even go so far as to incorporate a statement in your agreement with an agent or distributor that acknowledges that both parties (seller and buyer) recognize the existence of the FCPA and will honor its rules and regulations by not making any improper payments. What Should You Do If You Are Part of a Bribe? You can always report a bribe. Detecting bribery and at the same time keeping clean financial records is not easy, yet a smart, prudent small import/export business owner should be establishing checkpoints that prohibit bribery every step of the import/export journey. We all have a responsibility to combat bribery in global business. Let's work together to do our part.